We're at the Hollywood YMCA. For a hundred years, this historic facility in the heart of Hollywood has been a workout and productive schmoozing place for people from legendary mobster Bugsy Siegel to modern-day Hollywood types, and families. Y enthusiast Mitch has a point, a big point! This general towel discussion led to some other bigger-picture stories, unlike the downer headlines and breaking news updates piling on in the last days of 2015 -- Slate has suggested "it's a good time to be a pessimist..." and that with ISIS, mass shootings, campus rapes, wife-beating athletes, lethal cops, many sense that things might be falling apart, that the center cannot hold. And these feel-good stories came from two fellow Y members as we stood around, wearing our beat up towels salvaged from home, as Pierson Blaetz puts it. Out of such seemingly trivial conversations, mountains can be moved and barriers brought down...well, maybe. 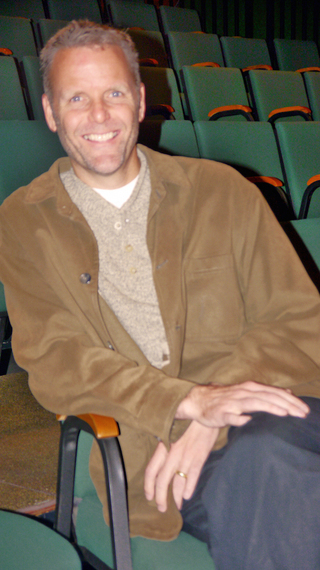 Actor, arts producer and social entrepreneur Pierson Blaetz, along with Whitney Weston, is a co-founder of the forward-thinking Greenway Arts Alliance, which starts celebrating its 20th anniversary in fall 2016. Greenway, which unites the arts, business and education communities, runs various programs including: Greenway Court Theatre, which is now in pre-production for a world premiere play, Swarm Cell, inspired by John Steinbeck's Grapes of Wrath; Greenway Institute for the Arts; and, the Melrose Trading Post, a hip, vintage flea market held every Sunday (upcoming, December 20, 27) during the year in Hollywood on the campus of famous Fairfax High School. Melrose Trading Post was recently ranked in the top twenty places to go in LA by Trip Adviser, and also rated the #1 place in town to meet people by LA Magazine. And, through MTP admissions into the market and renting booths to vendors, we've raised over $8 million that's gone directly to the needs of students at the local Fairfax High School. In effect, we've developed a successful model for increasing public education funding without increasing taxes. We've also generated another estimated $18 million via fundraising and theater programming. I don't think artists have to be entrepreneurs but there's a huge benefit to all for entrepreneurs having an artistic nature. 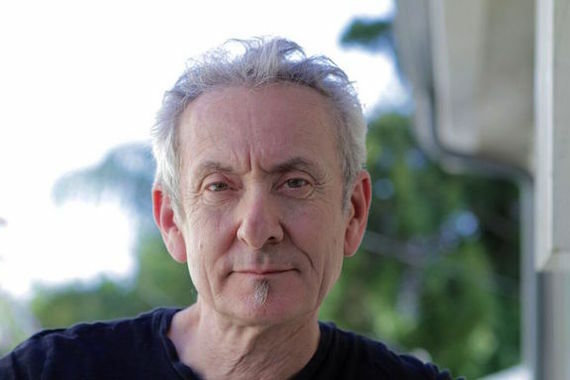 Artists are heart-driven, they're on a constant search to find connection and meaning in their world. Profit for profit's sake is a means to an end. I'm guessing Donald Trump doesn't have an artist's heart, although someone like entrepreneur Jack Dorsey (Twitter and Square Inc. founder) probably does see himself as an artist. Another proactive Y member, with a "home-brought towel" slung over his shoulder, is filmmaker Paul Hirschberger. 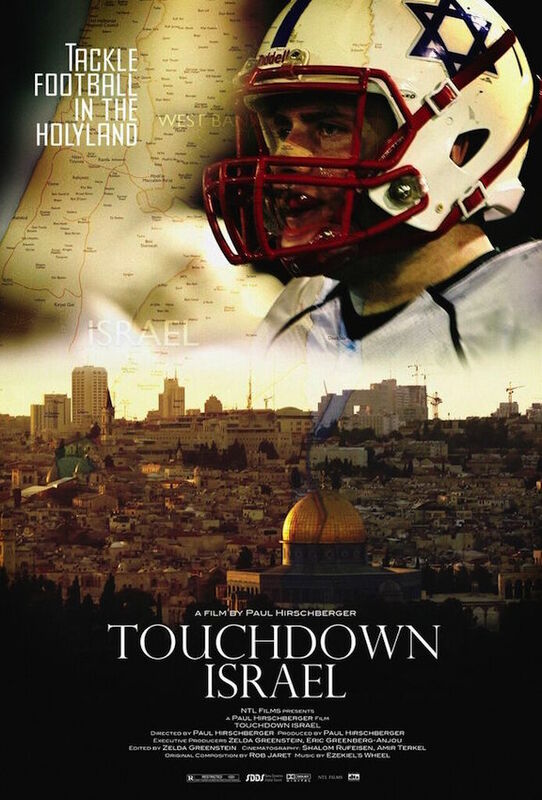 His inspirational new documentary Touchdown Israel has featured in many international festivals this year including the Jerusalem Jewish Film Festival in December, the first time it has screened in Israel itself. 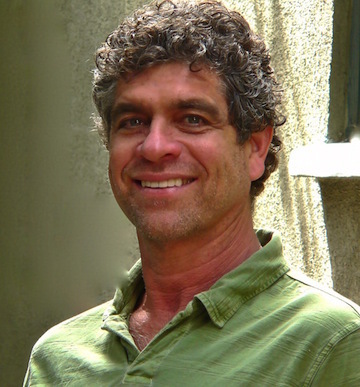 And it screens at the Savannah Jewish Film Fest, January 27, 2016. 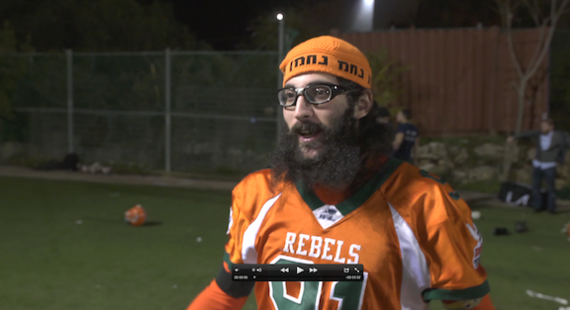 The film explores the fast growing game of American football that started as a touch/flag football league in 1988 in Israel. Now a tackle football league, it's also sponsored by the New England Patriots owner Robert Kraft and his family, and is known today as the Kraft Family IFL. Who knew, right? While Touchdown Israel documents the 11-team league, it also goes much further into the socio-politico realm, presenting the league as a microcosm of Israel. The film demonstrates the IFL's uniquely Jewish style, with some players putting their helmets on over their yarmulkes with others davening before the game starts. Touchdown Israel presents the broader religious and cultural diversity that is Israel and illustrates how sports can be both metaphor and unifier for the world around it. 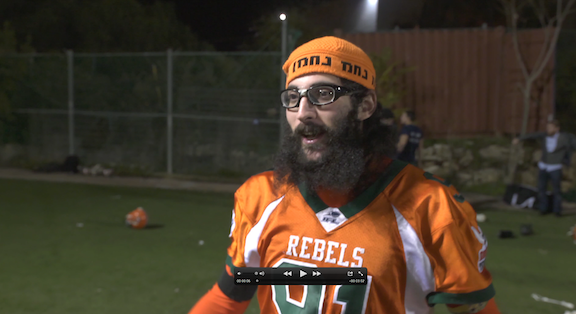 American football has set down real roots in the Holy Land. The playing levels vary widely, but the cast of characters is utterly compelling: Israeli Jews, Arabs and Christians as well as Americans living in Israel and religious settlers. 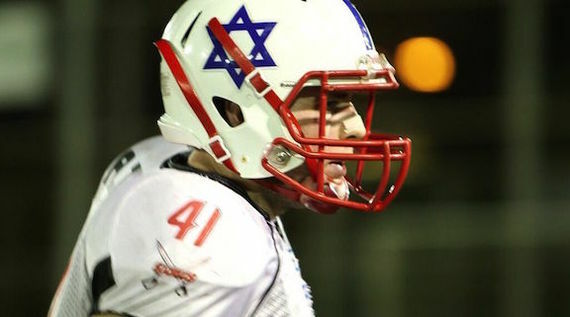 In many ways, Israelis are perfectly suited to play Football. They've all served their country in the military and love the strategy that goes into the game along with the physical contact. And a place like Kraft Field is possibly the only place in the entire Middle East you'll find Palestinians and Jewish settlers embracing after a contest. One of the film's most impactful scenes highlights three members of a Tel Aviv team -- a "Catholic/Buddhist Filipino immigrant, a devout Jew and an Israeli Arab" -- talking about their preconceived ideas of each other, and how being teammates has changed their perceptions and brought them new friendships they never figured they'd have. One can almost hear Rick in Casablanca quipping, "Louie, I think this is the beginning of a beautiful friendship." 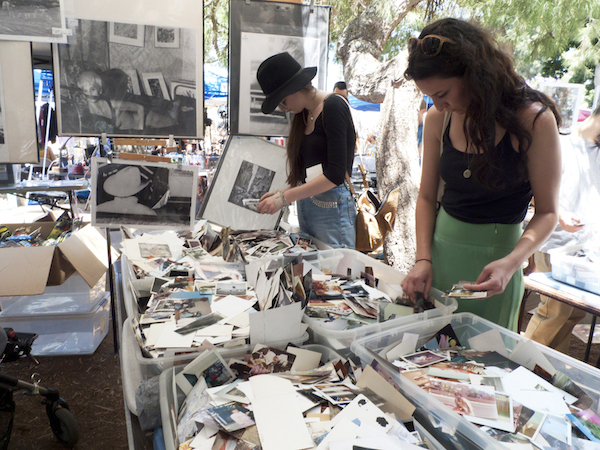 Follow Greenway Arts Alliance, Melrose Trading Post and Touchdown Israel on Facebook.